This year I decided to experiment with squash. It’s easy to bake and the food combinations are endless. Another good thing about this cold weather treat, is that it freezes well and can keep (uncooked) in the fridge for several for weeks, for spur of the moment meals. Its delicious nutty flavor is great on a crisp cool day. This flavorful salad is quick and easy. Peel and cube the squash and place in frying pan with butter. 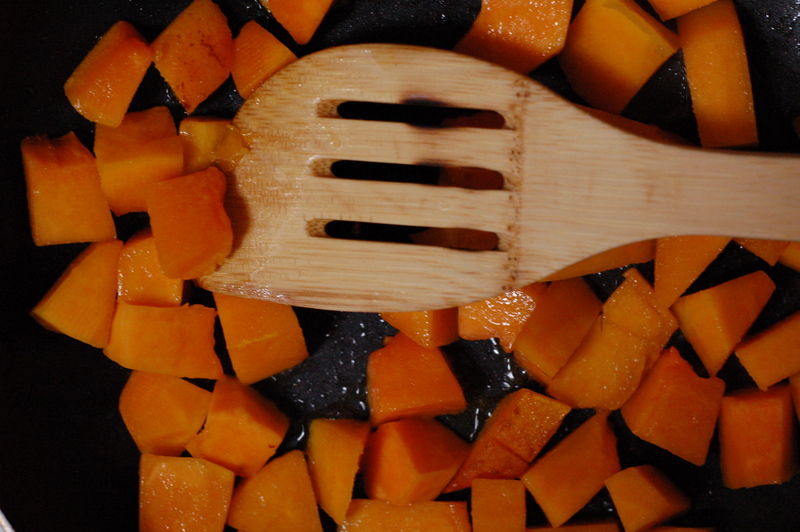 You might not be able to cook the entire squash at once, but make sure most of the squash is touching pan bottom. Toast until golden brown and soft enough to eat but make sure it’s not mushy. If you prefer to bake squash, cut in half. Bake at 400˙ face up for about 45 min or until semi-soft. 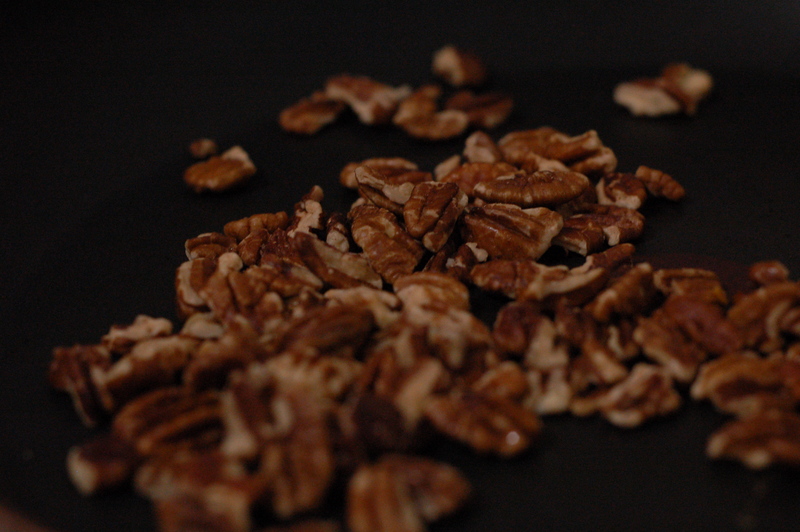 Toast pecans until slightly crisp with nutty aroma. 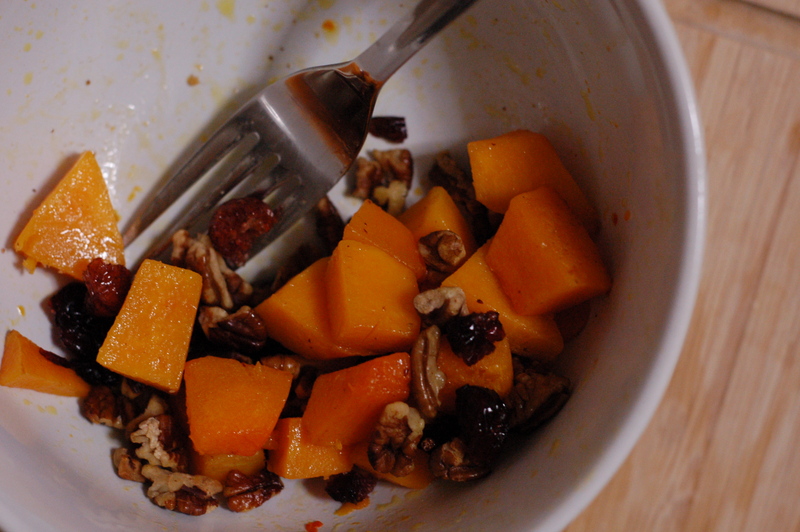 Mix squash, pecans, dried cranberries together. Sprinkle cinnamon and salt to taste.